James started his collaboration with Karen Pritzker on HBO’s The Big Picture: Rethinking Dyslexia, a film that gave hope to millions of families around the world who have struggled to educate their dyslexic children. From there, they turned their story-telling eye on the hidden menace of adverse childhood experiences with two documentaries Paper Tigers and Resilience: The Biology of Stress and the Science of Hope. Paper Tigers, currently on the festival and screening circuit, aired on PIVOT TV near the end of 2015. 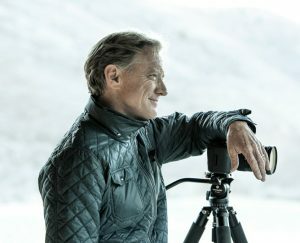 James also co-founded and is current Chair the Redford Center, a film production non-profit that translates complex environmental challenges into human stories that inspire. Recent honors include the 2014 WildCare Environmental Award as well as serving the leadership circle for the UN’s second annual Media for Social Impact Summit. James lives in Marin County and is married to Kyle Redford, a popular educational blogger for Edweek, Huffpost and Noodle.